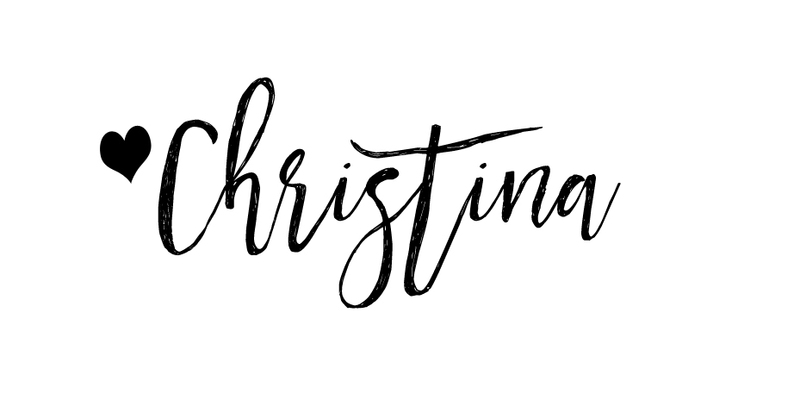 When Tiago and I were deciding on where to go for our honeymoon, we realized we didn’t want to do one large trip we want to take a bunch of short trips throughout the next year on cities we want to go all over the world! 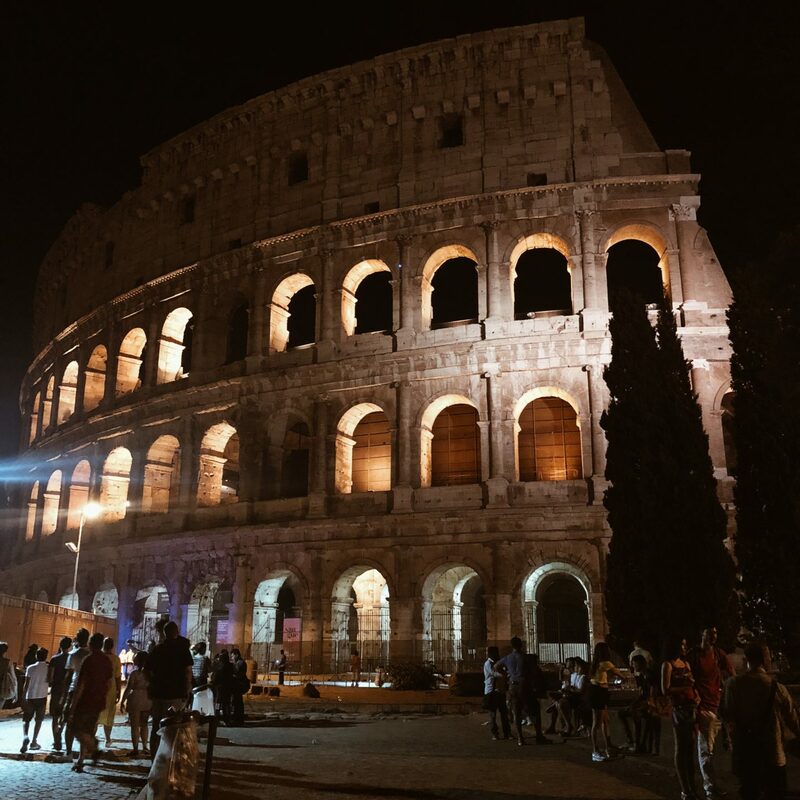 Our first stop was Roma! 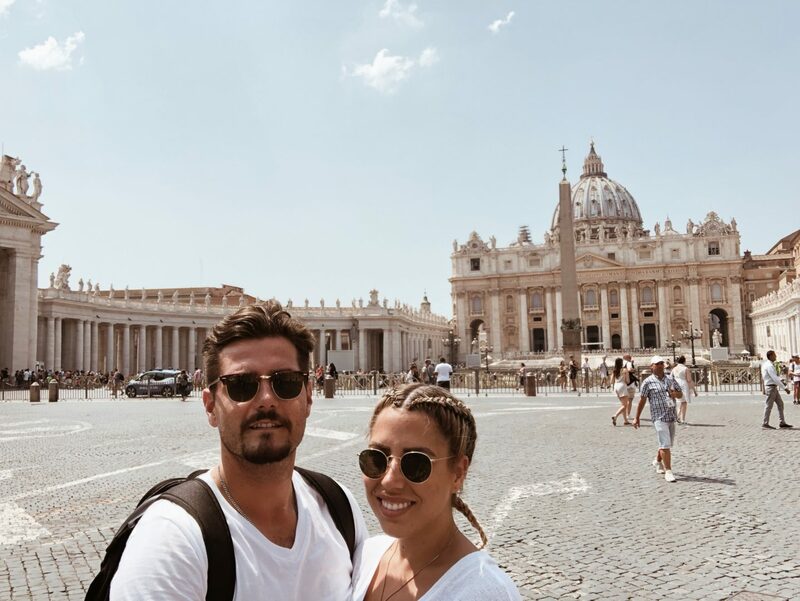 After our whirlwind wedding in Portugal, we hopped on a plane and headed for Italy so we could stuff our faces with carbs and actually become full blown tourists getting lost with maps in our hands! 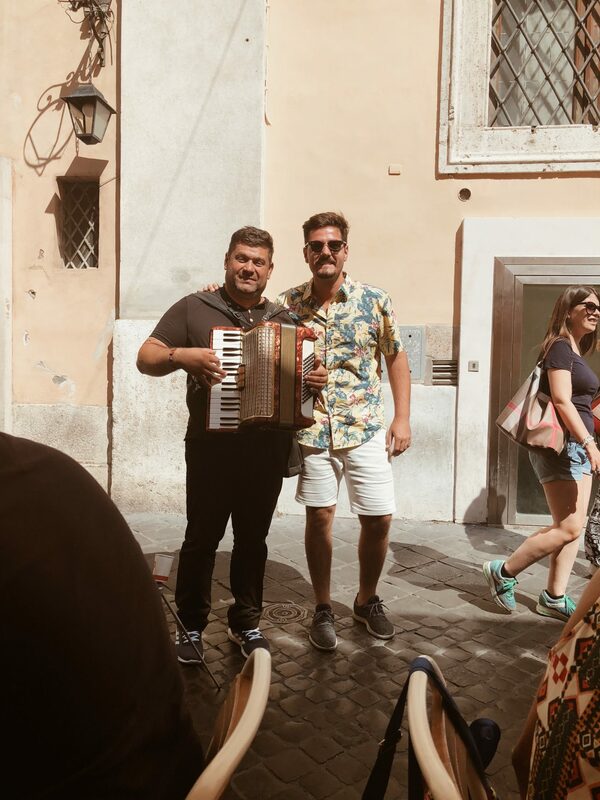 We spent 4 days in Rome and it was plenty of time. In fact looking back now we could have added another city in there to mix it up. We wanted to be off the beaten path and I now know the big secret on how Italians stay so slim! The secret is: All the walking! In about 2 days we walked over 35km and drank probably close to 6L of water each, my skin was so hydrated and my legs were toned! 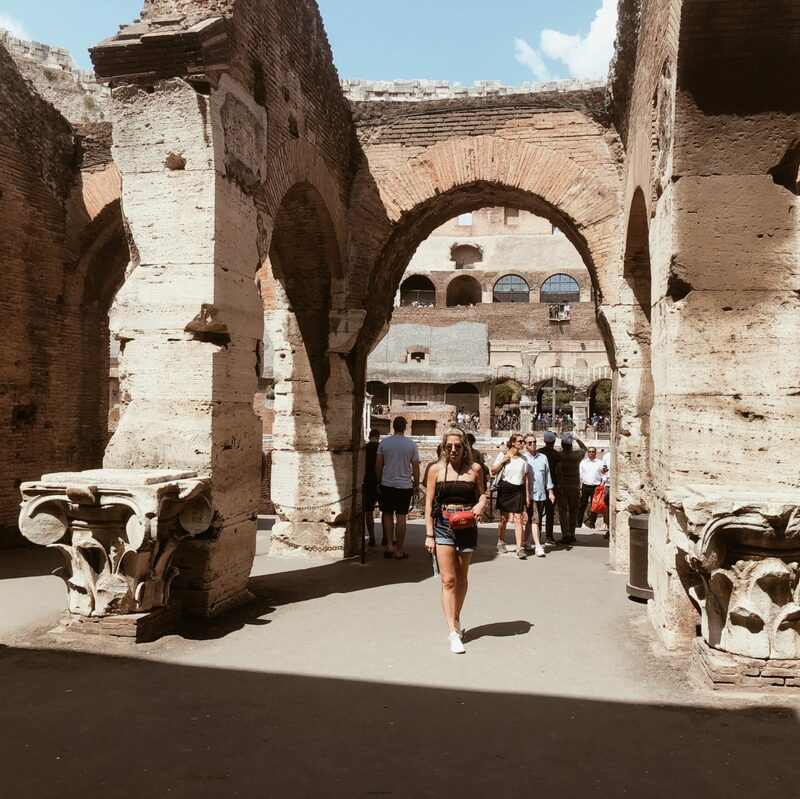 If you’re planning to head to Rome for a holiday, I suggest investing in comfortable running shoes, and don’t you worry fashionistas, these days they are the all the rage! 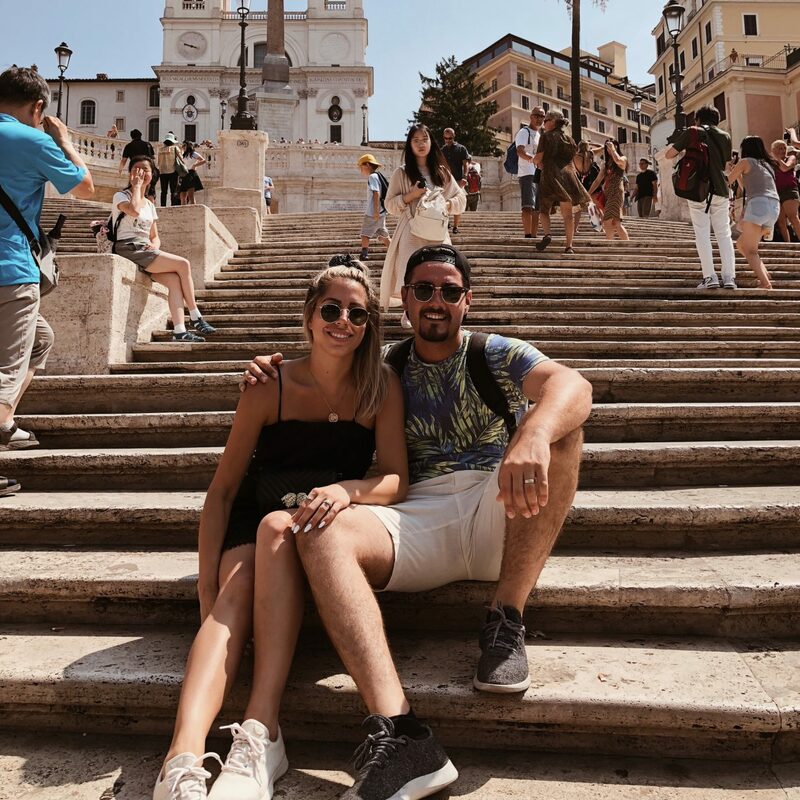 Our first stop on our walking tour was the Spanish Steps. 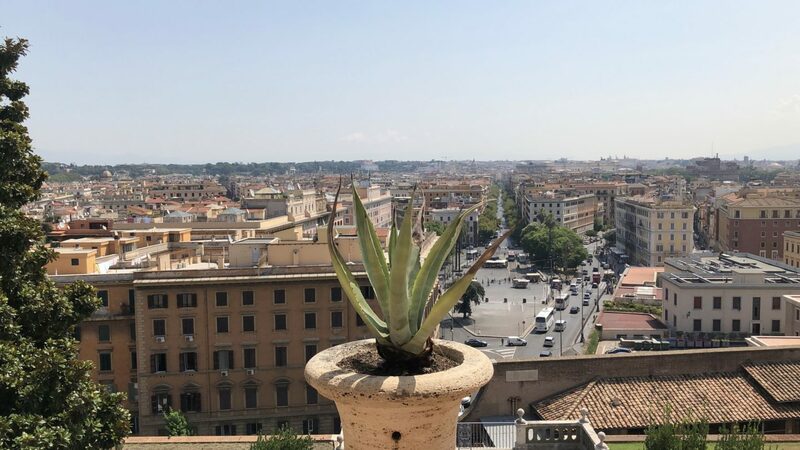 The best meeting spot in all of Rome! 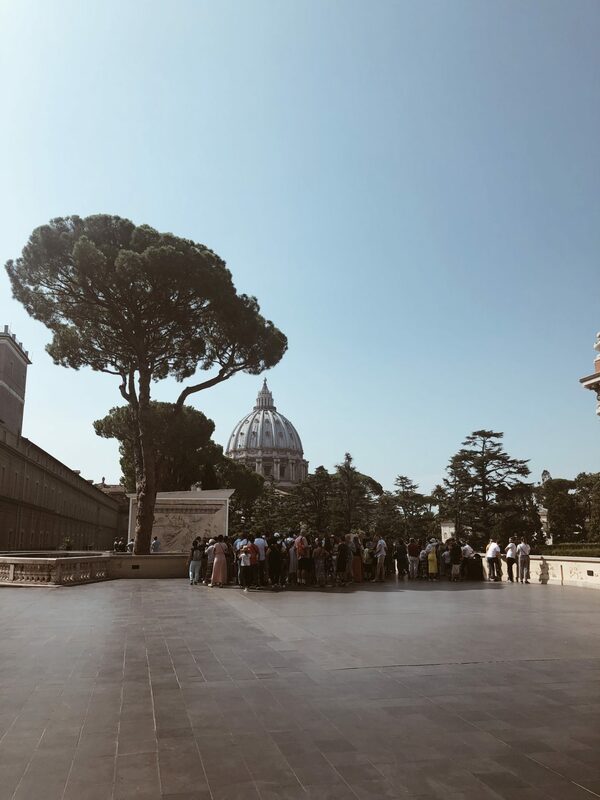 It’s also the perfect spot to take a break, sit down and people watch while taking in the beauty of Rome. 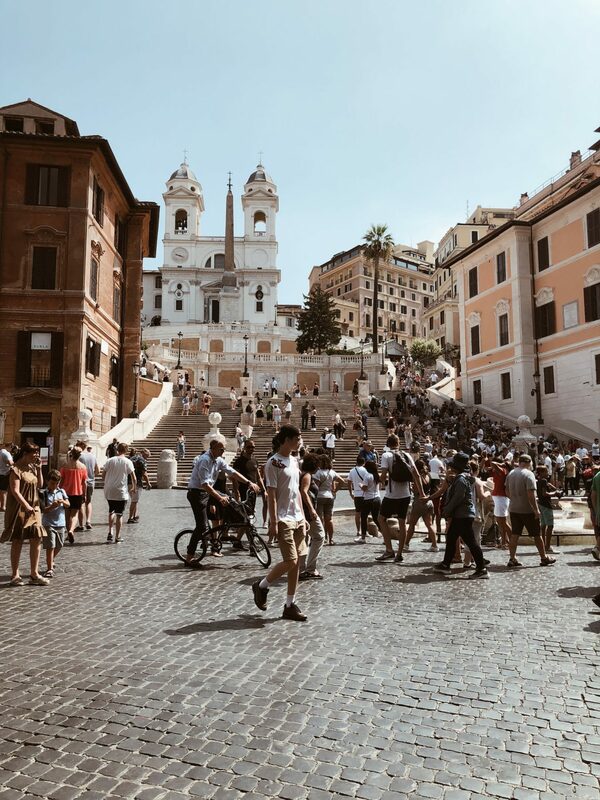 Did you know the Spanish Steps are shaped like an irregular butterfly and the widest stairway in all of Europe with 138 steps! This place is simply magical. 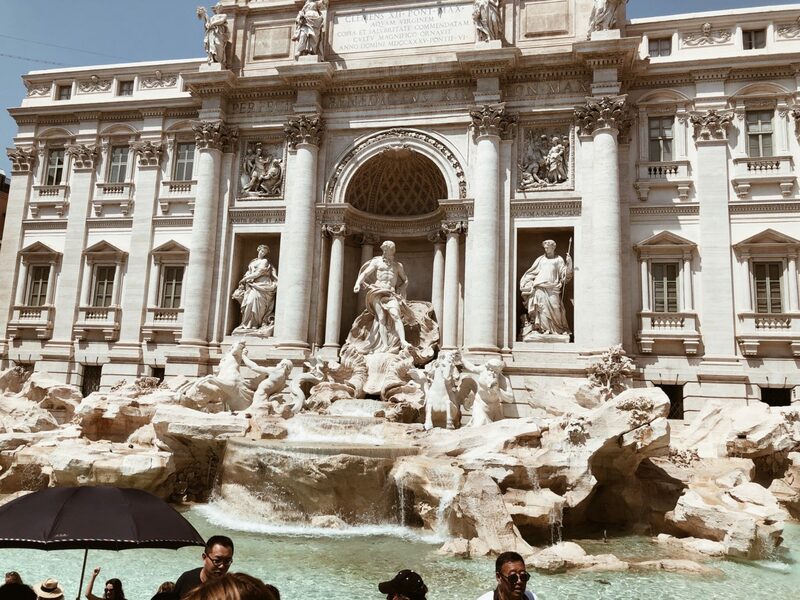 Tiago & I stopped at the Trevi Fountain twice a day. Something about it is so romantic and peaceful. To look and realize that these popular spots were built over 200 years ago literally blows my mind. 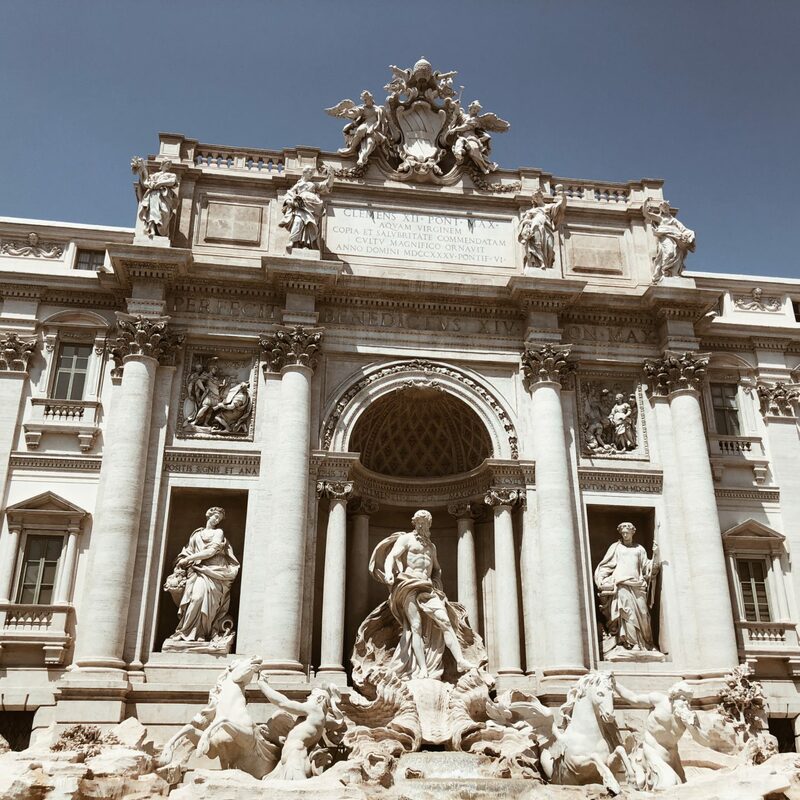 The Trevi Fountain (named after the junction of three roads, Three Street Fountain), is one of the oldest Aqueducts in Rome. 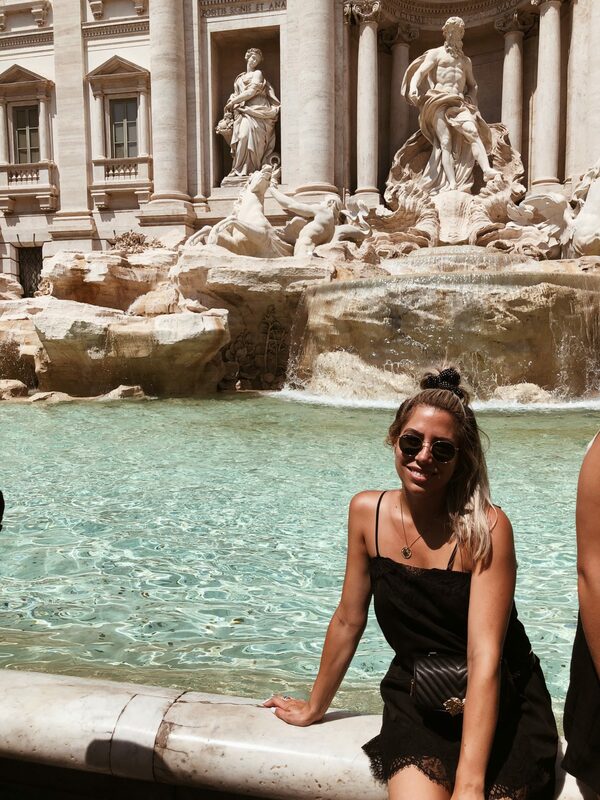 Legend has it that if you throw a coin into the fountain it will ensure your return to Rome, and when I was 13 I visited Rome with my family, and I threw a coin into the fountain in hopes to return to Rome again…fast forward to 2018 and voila I’m here again! TIP: If you’re looking for a hot spot to overlook the fountain at night, be sure to check out Relais Fontana Di Trevi rooftop lounge! 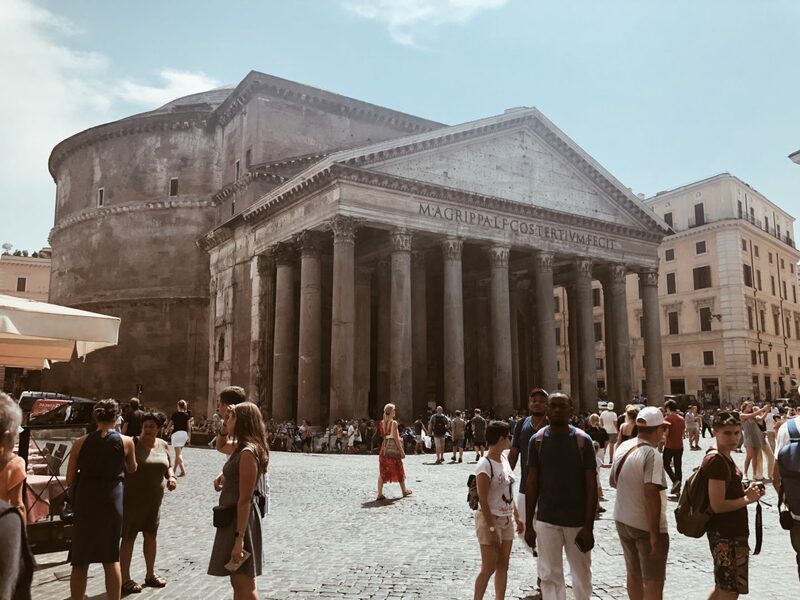 The third stop on our walking tour was the Pantheon, a 2000 year old temple, now a church. The dome of the church has always been the largest unsupported concrete dome in the world, which blows my mind! 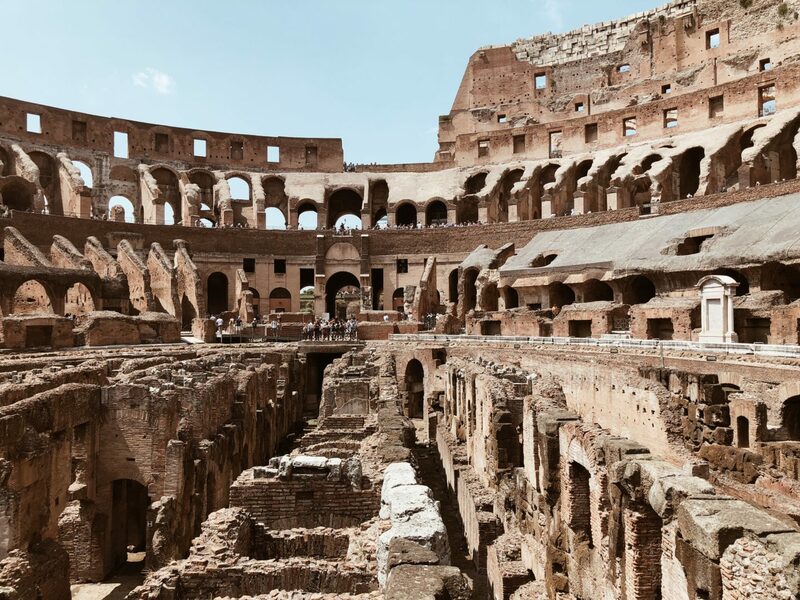 To see how construction was so many years ago and how it’s still standing is absolutely astonishing! 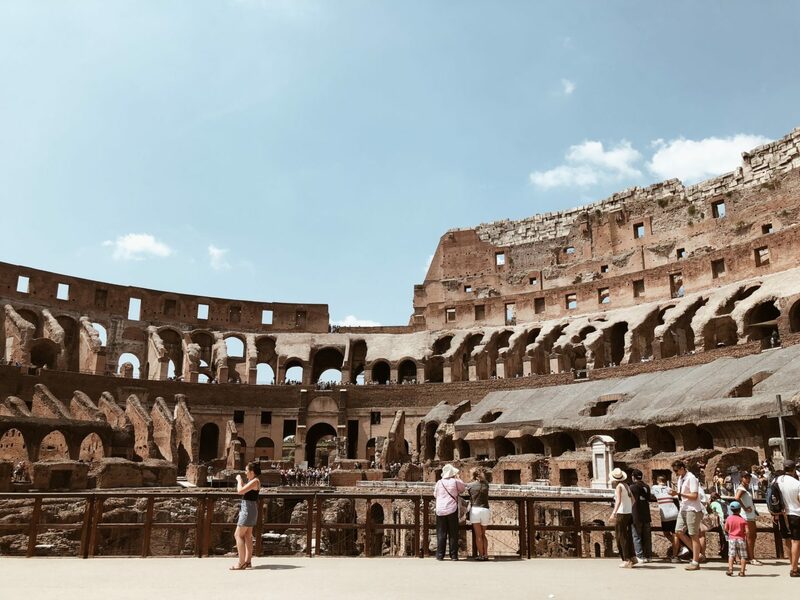 The Colosseum is the most iconic Roman landmark and it is mind blowing that a structure so jaw dropping is thousands of years old! Walking up the main road there are plenty of people stopping you to purchase a tour with them, and that’s exactly what Tiago & I did. 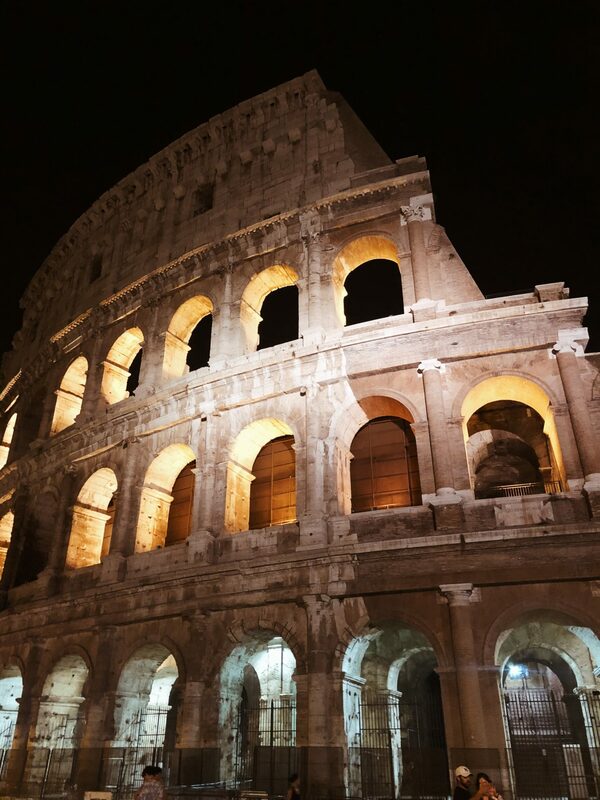 We wanted to experience the Colosseum from within plus go down to the main level and pretend we were in Roman times. After the Colosseum, we visited the Roman Forum. 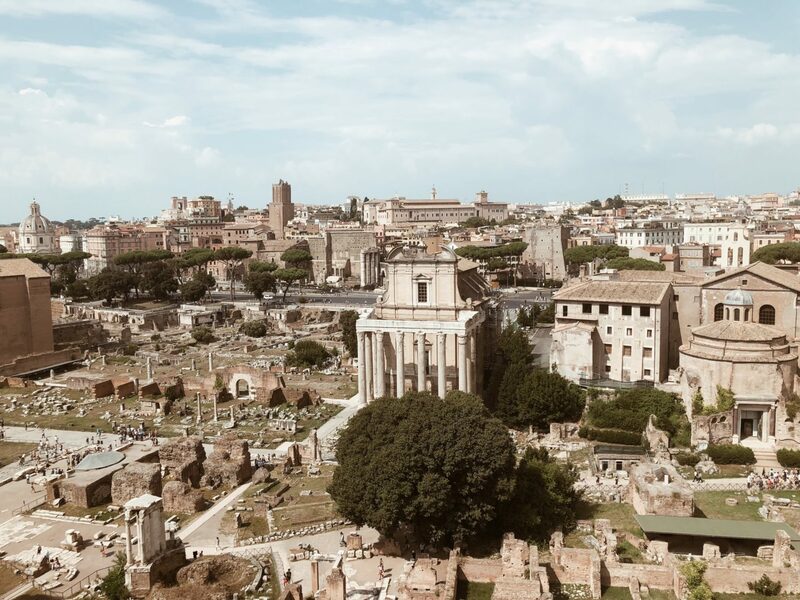 The Roman Forum was first city in Ancient Rome and it’s a must to see. It’s basically like going to Paris and not seeing the Eiffel Tower! 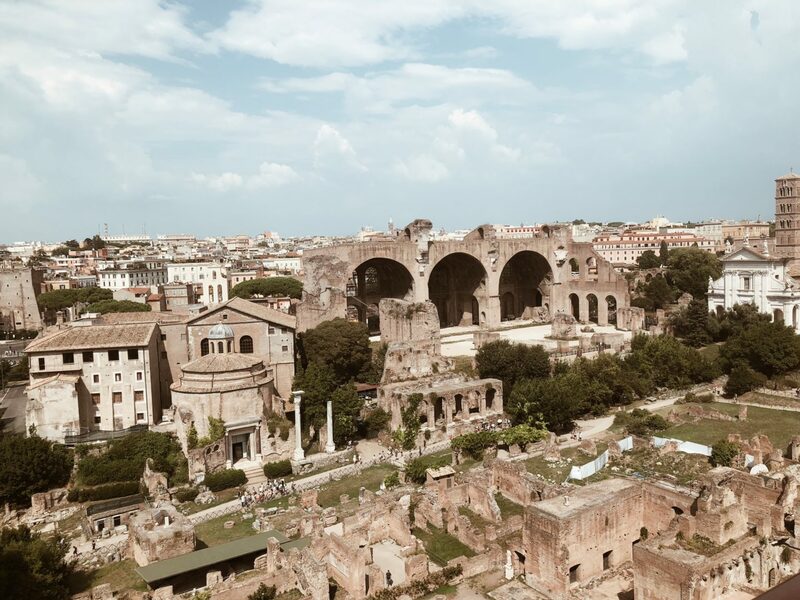 The views are stunning and it shows you how modern the Romans actually were! Vatican City is a independent city state run by the Pope. 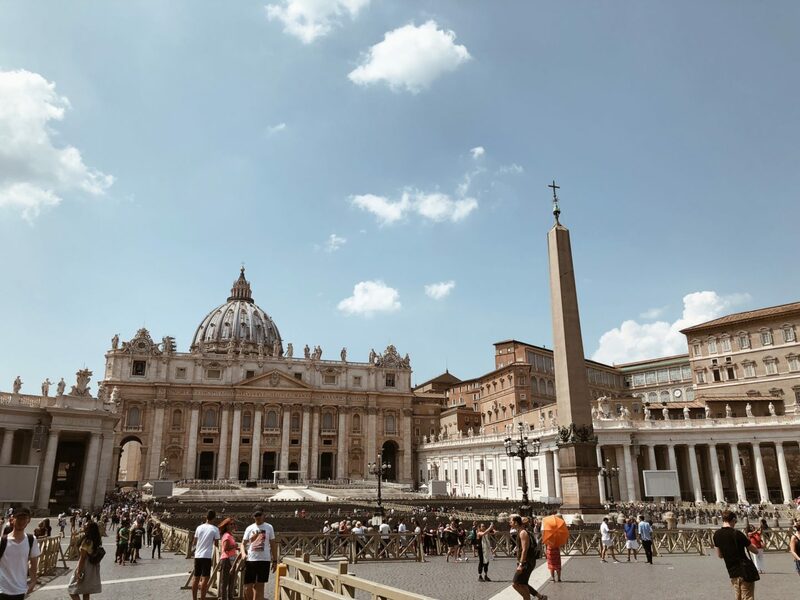 Within the walls of the Vatican there are numerous popular attractions to visit, however, the best are, St. Peter’s Square (Piazza San Pietro), St. Peter’s Basilica and the Vatican Museums, where the Sistine chapel is located. Note to self – when visiting the Vatican you must make sure you are covered, meaning no exposed shoulders or knees. 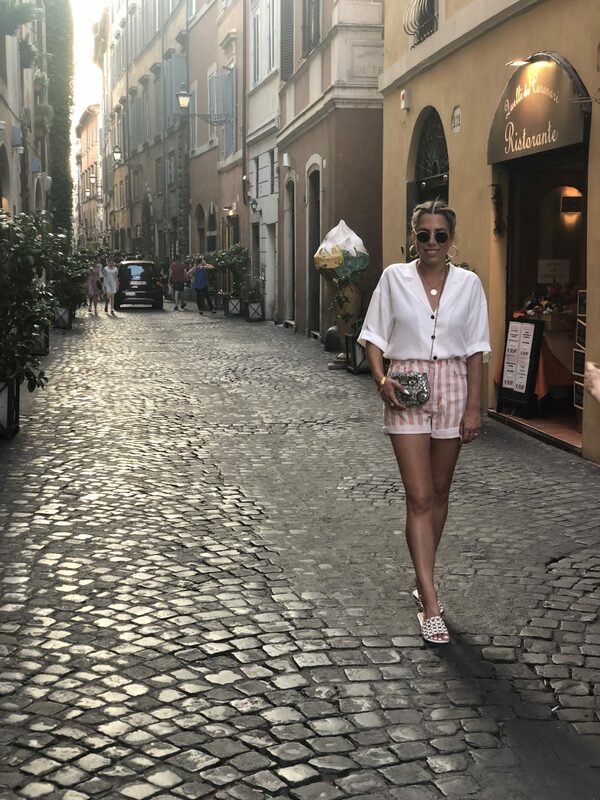 Since we were in Rome during the hottest season, I did wear shorts but brought a scarf to cover myself up. 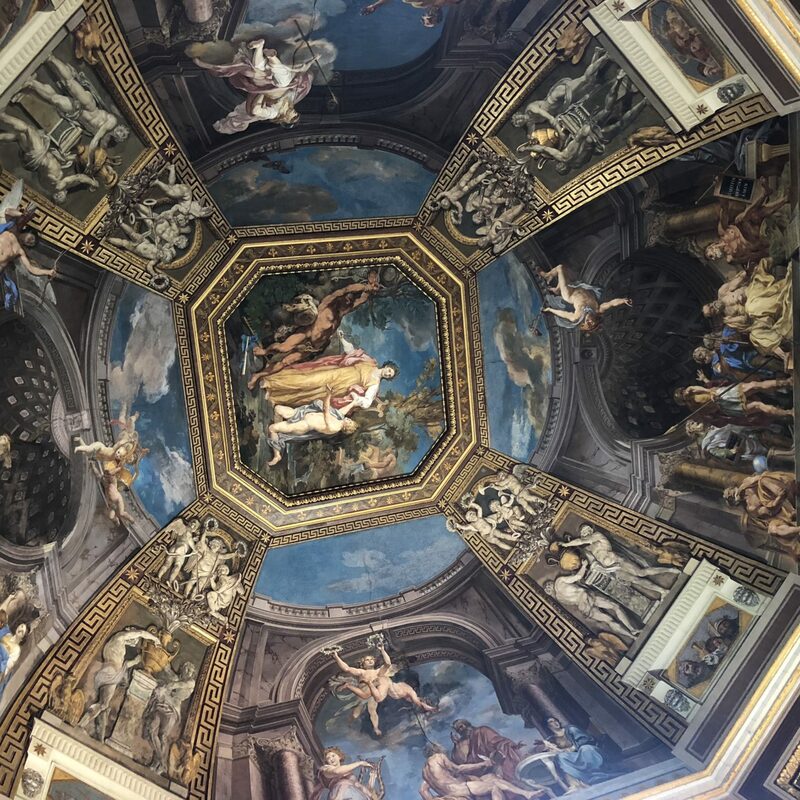 The Sistine Chapel is simply breathtaking along with St. Peter’s Basilica. Many people messaged me and asked if we saw the Pope while we were there and unfortunately we didn’t. 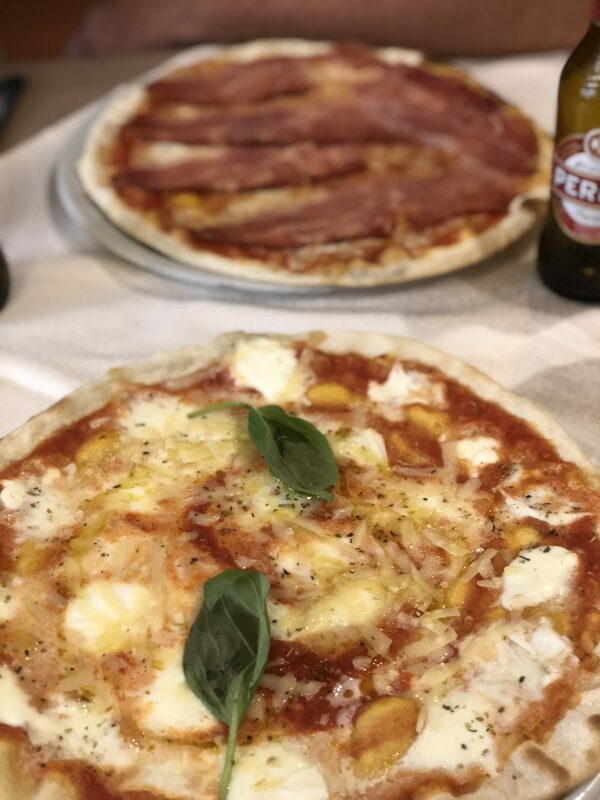 Italian food is my go to no matter what country I am in. I could eat pizza, pasta & gelato all day, so I obviously stuffed my face with all three on a constant basis! 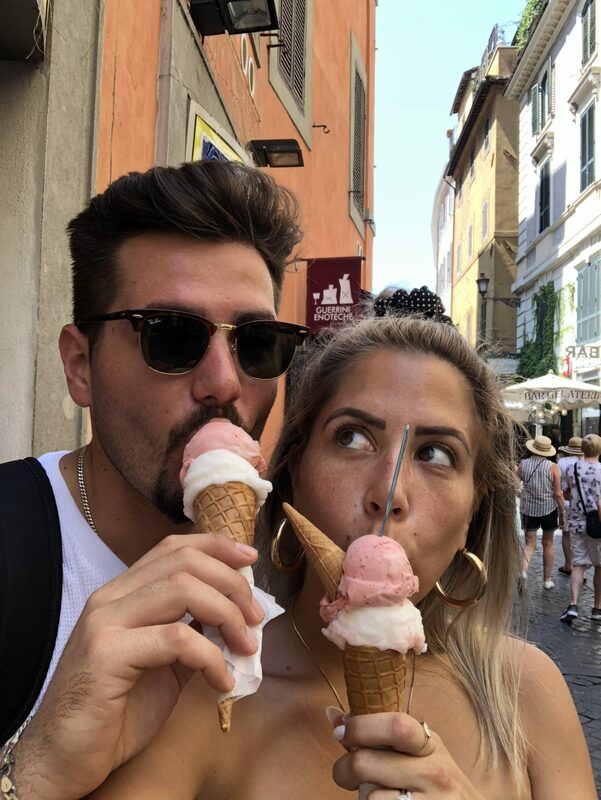 We found a great restaurant by the Trevi Fountain, called Il Chianti, where we drank Rose, ate burrata cheese & of course pizza, then headed to Blue Ice just down the street for gelato! 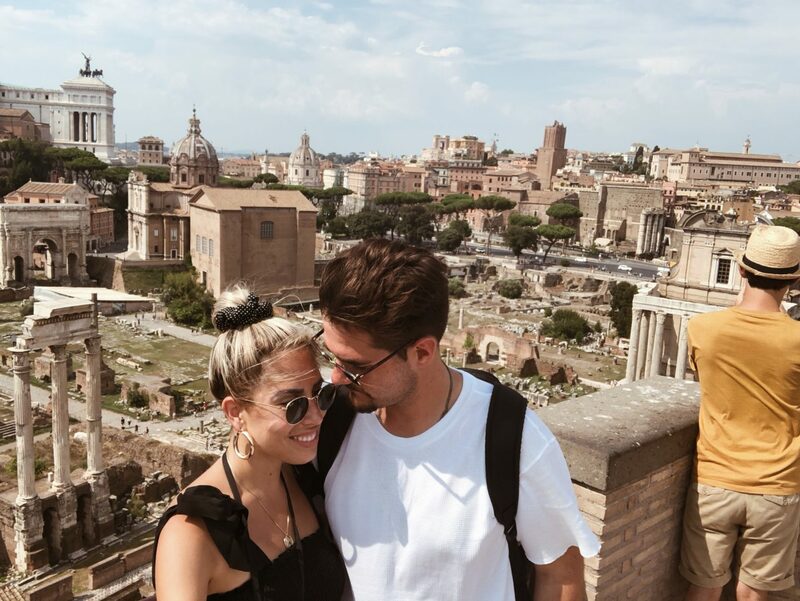 Rome was magical and it was a great way to kick off the start to many mini honeymoons to come!